So over the next few weeks and months I am restocking my fly boxes with my most trustworthy patterns for next season and as I come across thew good ones Ill post them here in our Winter Tying Sessions so you can have them for next season too. 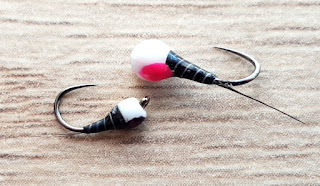 To begin I have two perdigons that are a must in my box, I tie them from size 22, 2 mm beads right up to 3.5 mm beads on a Dohiku size 16 jigs or 301 hooks. I always use Dohiku hook I feel they are the best on the market and they take a good sharpen which is important for getting more than one session from your nymphs. Now I am not a angler that fishes perdigons a lot they can be good alright at times but I do think they have a time and place where they work best, so don't become over reliant on them or spend a heap of time tying random nymphs during the winter just to fill boxes for the sake of it. These are simple nymphs but they are also tried and tested over the last two seasons. 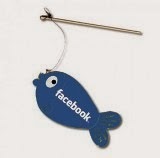 They can be fished in the smaller sizes under a dry fly also. I do find they work best in the hard streamy water when you are euro nymphing and they can be successful in the slower water also under the dry. The second fly is based on a fly from the great river angler Eammon Conway from Tain Fly Rods, his results on rivers fishing this style of nymphs is outstanding to say the least. I do love the Tommi-fly UV threads for doing the majority of this style of fly tying and its ideal for fine ribs and hot spots. It is a fine floss with very intensive colours. I also find it retain it intensity when covered with the resin where other flosses like glo-brite can be too heavy and become kind of translucent when covered. 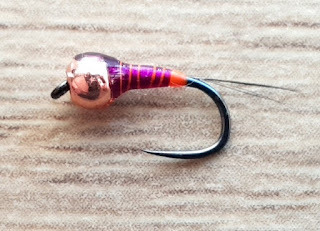 On our next winter tying sessions we will be looking at some of my most trustworthy Hares Ear nymphs and caddis grubs, make sure and check it out. 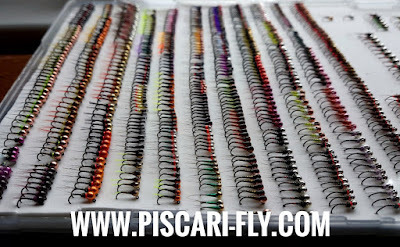 I hope you have enjoyed reading this post and enjoy tying these flies; if you would like to stock up your boxes for this coming year make sure and contact me through facebook or email. If you have any questions or queries please feel free to contact me. 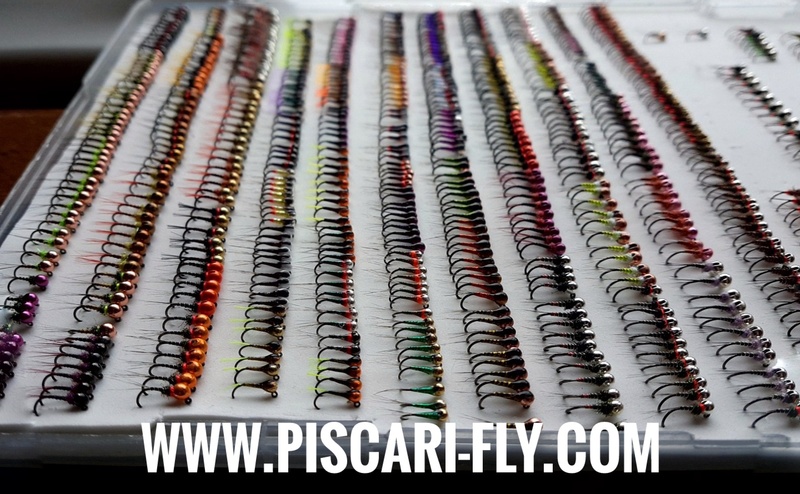 Also make sure and check out my website www.piscari-fly.com for all your tungsten beads, Dohiku barbless hooks, Tommi-fly products,the amazing Syndicate Fly Rods, Reels, leaders and much more. Thanks for reading.